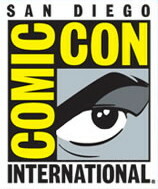 SDCC 2012 Coverage: Get It All Here! We’re back from San Diego Comic-Con 2012 and just a leetle tired. We want to thank everyone who came and visited us at booth #5625, as well as those who followed our coverage from home! We had a blast, and it’s a pleasure to share our favorite moments with you. Below, you can find all of our SDCC videos in one convenient playlist. Check out our coverage of Preview Night, The Walking Dead, the Firefly 10th Anniversary panel, Joss Whedon, Felicia Day’s Geek & Sundry panel with Wil Wheaton, and more! We’ve made it simple to share this video on Facebook and other social media outlets with the social networking buttons near the title. If you wouldn’t mind doing us a solid and sharing this video with your friends, we’d be eternally grateful. What were your favorite SDCC moments? Post your comments below!